When you’re driving down the streets of Tom’s River, Brick, and Freehold, it can be quite jarring when you notice a light on your dashboard. However, the first step to ensuring your vehicle is functioning properly is learning what these symbols mean. Below, you will find a handy guide on the Volkswagen Tiguan dashboard lights created by the professionals at Toms River VW. It goes over what these symbols indicate, if there is a possible issue, and what steps you can take next to ensure your vehicle is safe. Schedule a service appointment today! Anti-Lock Braking System Malfunction – When this dashboard light appears, it means there could be an issue with your antilock brakes. Although your traditional braking system should be functioning properly, it is a good idea to stop into your authorized service center to assess the issue. Airbag Problem – If you see this light illuminate on your dash, an airbag or belt tensioning system may be faulty. It can also indicate that your passenger side bags are deactivated. If this was not done on purpose, check with a professional technician to find the cause of the problem, as this could mean the airbag will not deploy in an emergency. Battery Error – This dashboard light on your Volkswagen Tiguan dashboard could mean a few things. It could be letting you know that your alternator is providing low voltage, or that your charging system is failing. When this light appears while driving, pull off to the side of the road when it is safe to do so and turn off all non-essential electrical equipment. Then, reach out to a professional for further assistance. 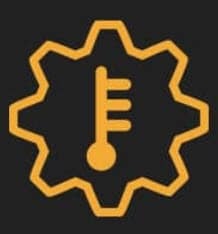 Automatic Transmission Malfunction – When you see this yellow light, your transmission may be faulty, which could result in dangerous situations while driving. Have your vehicle’s system checked out immediately by a certified professional at your Volkswagen dealership’s service center. Brake Light Bulb Failure – This dashboard light lets you know that one or more brake lights on your Volkswagen Tiguan have burned out. Replace them as soon as possible to stay safe while hitting the streets. Brake Pad Wear – This yellow dashboard light shines when your system has detected there is wear in your brake pads. To get these replaced, visit your authorized VW service center. This ensures the brakes on your Volkswagen Tiguan function normally and prevent further damage down the line. Tire Pressure Low – This yellow light indicates that your tire pressure is lower than it should be. Refer to your owner’s manual to find out the correct pressure recommended for your tires and fill up to the proper amount to avoid possible blowouts or flat tires. 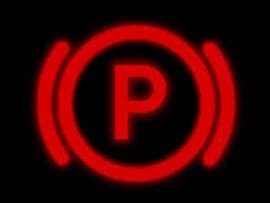 Parking Brake – This red check light means your parking brake is on, so make sure to disable it before you begin driving. It can also mean your brake fluid is low. If this dashboard light appears on your VW Tiguan when your brake is not applied, visit your local Volkswagen service center to have more fluid added. If you need some further assistance deciphering what your illuminated Volkswagen Tiguan dashboard lights mean, stop into our state-of-the-art service center today. Our team of professionals can detect the issue and resolve them, allowing you to hit the streets of Tom’s River, Brick, and Freehold with confidence.